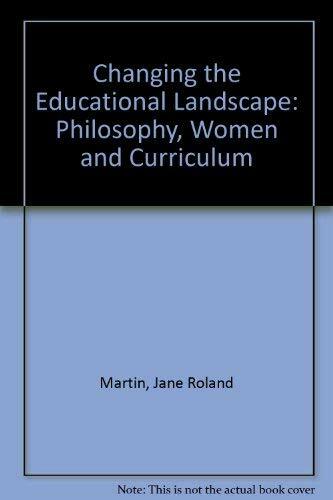 Changing the Educational Landscape is a collection of the best-known and best-loved essays by the renowned feminist philosopher of education, Jane Roland Martin. Trained as an analytic philosopher at a time before women or feminist ideas were welcome in the field, Martin brought a philosopher's detachment to her earliest efforts at revolutionizing the curriculum. Her later essays on women and gender further showcase the tremendous intellectual energy she brought to the field of feminist educational theory. Martin explores the challenges and contradictions posed by the very concept of women's education, and also recognizes how the presence of women necessitates the rearticulation of not only the curriculum but also the standard ideologies in education. Jane Roland Martin is Professor Emerita of Philosophy at the University of Massachusetts, Boston. Her most recent books are Reclaiming a Conversation and The Schoolhome.